Storage Space for Cans, Rags, Grease Guns, Wrenches, Etc. 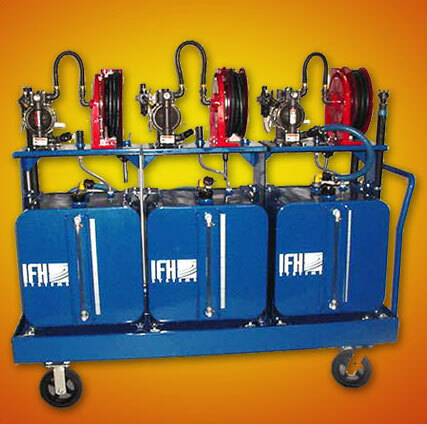 The IFH Group Mobile Fluid Handling Carts are completely customizable to fit to the exact needs of the end user. 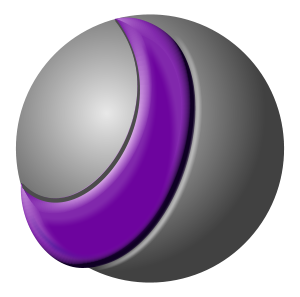 The end user specifies the products to be stored and in what volume the products will be stored. 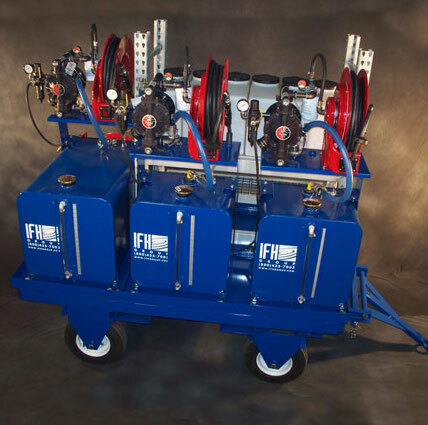 Then the IFH Group, Inc. designs a cart around the end user’s needs, with anything from pump and reel kits, to filtration, specialized casters, tow hitches, electric powered, metering, grease storage, safety beacons, tool storage boxes, and more. 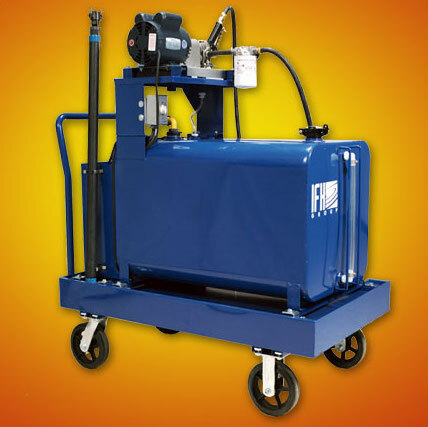 We not only offer 2 and 4-wheeled Lubrication Carts, but can also design a Custom Lubrication Setup to meet your specific needs. 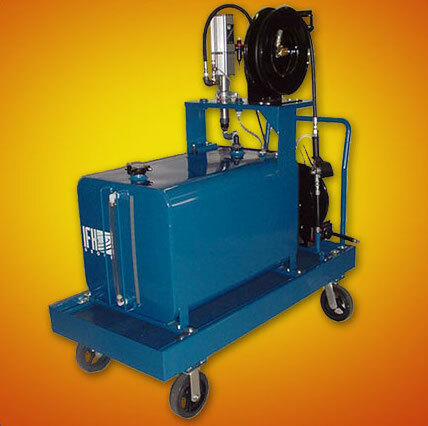 We can design a lubrication pallet with fork pockets that can be lifted with a fork truck onto a flatbed trailer or into a truck bed, or we can design a Lubrication Pallet and mount it onto a drivable Cushman Cart. 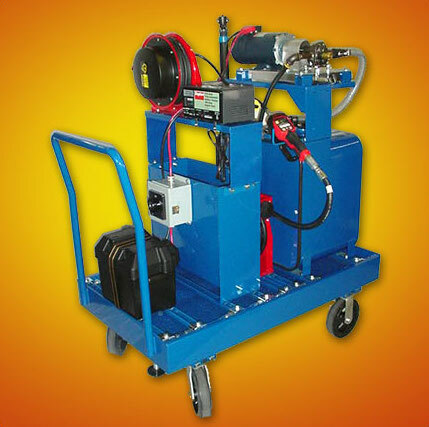 *Remember, these are just examples of previously fabricated Custom Mobile Fluid Handling Carts, we can customize a System to meet your specific needs; from larger containers and custom filtration solutions, to safety compliant packages and chemical resistant fittings. The options are endless.